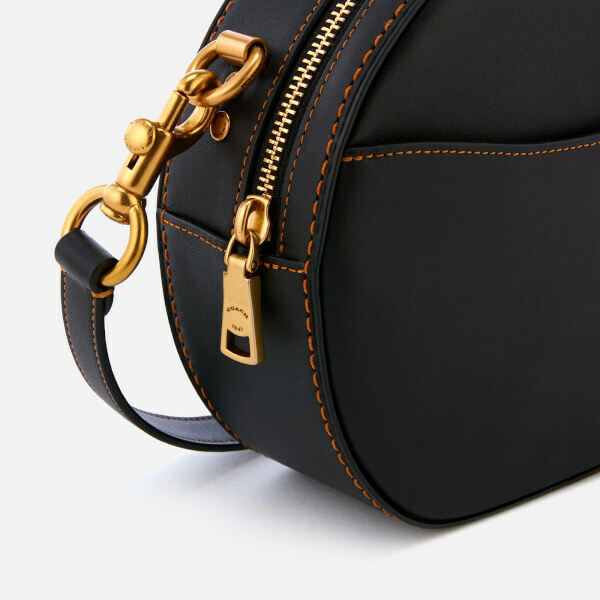 ‘Canteen’ cross body bag from American design house of modern luxury accessories Coach. Inspired by a popular Coach style from the 1990s, the Canteen bag features the same minimalist, circular construction crafted from smooth, black, glove-tanned calf leather. 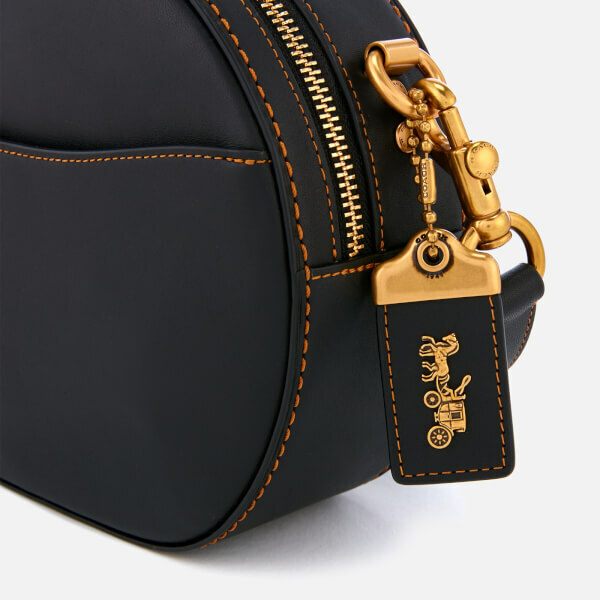 Suspended from a detachable strap that can be adjusted in length with a pin buckle, the Canteen bag features a top zip fasten that opens to reveal a lined compartment and interior zip pocket within. An external slip pocket at the front offers additional storage space. Antiqued gold-tone brass hardware and contrast stitching throughout. Complete with a logo-adorned luggage tag. Arrives with a protective dust bag. Dimensions: H: 18cm x W: 20cm x D: 6.5cm. Strap Drop: 55cm.